Primary 3kw generator in the foreground powered our radar system. 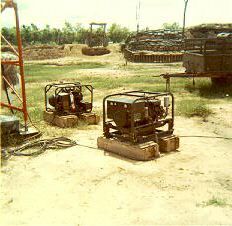 The 1kw generator in the background kept the batteries charged for our PRC-25 communications radio. Ben Soi ARVN infantry camp, September, 1969.